Convenient location, memorable cuisine and seamless service combine to make Gusto the perfect venue for private dining. Celebrate your event at Gusto! We offer a variety of options for both private and semi-private parties of all sizes. 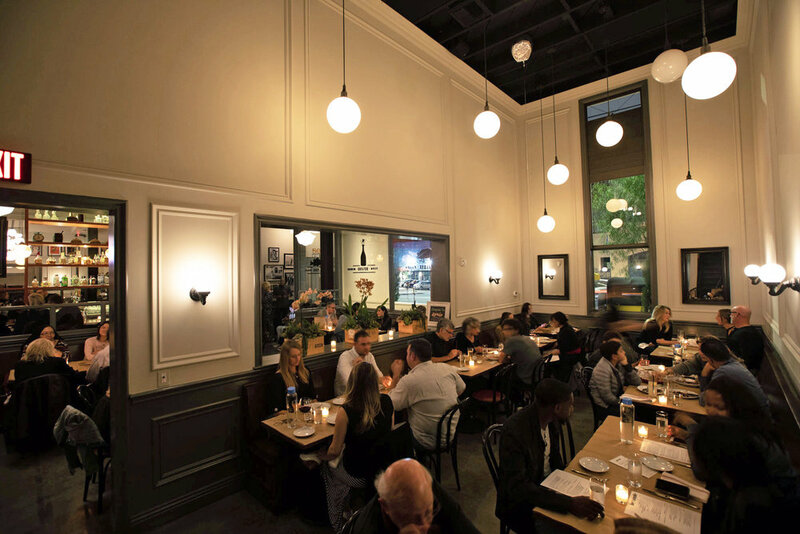 A modern take on a classic Italian neighborhood restaurant, the Main dining room can accommodate the largest group. Situated on the Fairfax side of the building, this is the perfect place to enjoy a semi-private family-style dinner in your own space while still being close to the action of the main dining room. These two rooms combined make up our entire first floor. Situated on the second level overlooking the main dining room, this is the perfect place to enjoy a family-style dinner in your own space and catch up with old friends. This charming, intimate space looks and feels like a Tuscan garden with a retractable roof and a gorgeous olive tree and is perfect space for a smaller gathering. Having access to all of the above spaces is an entire restaurant buyout. For parties over 15, we offer a variety of customizable pre-fixed menus to choose from. To book your party or for more information on Food & Beverage minimums, menus or room selections, click below!